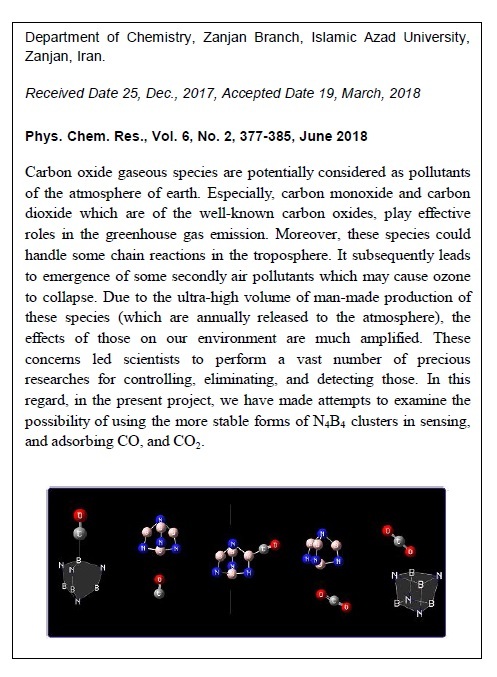 Carbon oxide gaseous species are potentially considered as pollutants of the atmosphere of earth; especially, carbon monoxide and carbon dioxide which are of the well-known carbon oxids, play an effective role in the greenhouse gas emissions. Moreover, these species could initiate or handle some chain reactions in the troposphere that lead to emergence of some secondly air pollutants which may cause ozone to collapse. Due to the ultra-high volume of man-made production of these species which are annually sent into the atmosphere, the effects of them on our environment are much amplified. These concerns led scientists to perform a vast number of precious researches for controlling, eliminating, and detecting those species. 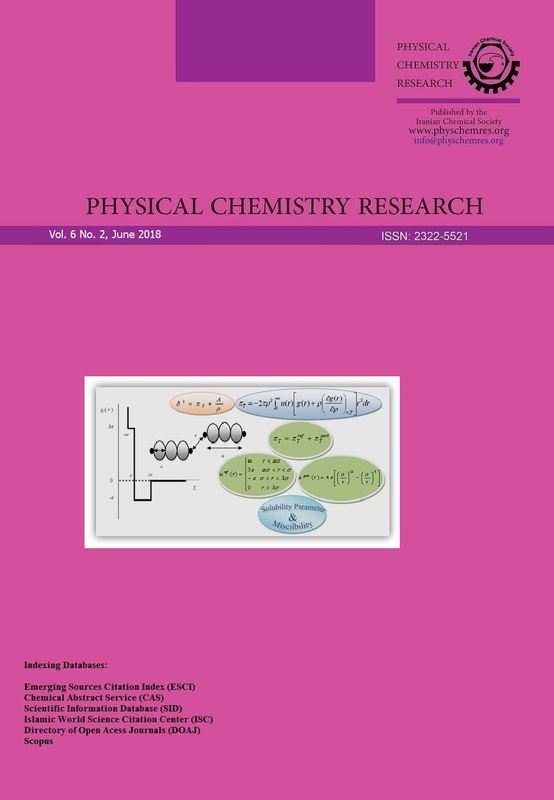 In this regard, in the present project, we have made attempts to examine the probability of using the more stable isomers of N4B4 clusters, to find out if these clusters are able to sense, adsorb, or destruct CO, and CO2? The results showed that the N4B4 cluster both in forms (A), and (B), could adsorb (and react with) CO, and CO2 in a very fast and spontaneous process, as well as sensing those two species with clear signals.